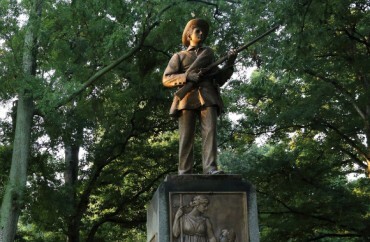 The University of North Carolina’s plan to house its much-hated Confederate statue “Silent Sam” in a $5 million “high-security History and Education Center” is not happening after all. The Board of Governors rejected the plan at a “closed-door meeting” Friday while about 80 students, faculty and other protesters gathered in a parking lot “in a steady, cold rain,” The News & Observer reports. The board instead created a committee to devise a new recommendation by March 15, and the university’s “strong preference” is for an “off-campus solution” for the statue, it tweeted Friday afternoon. We heard the passion and conviction of our students, faculty, staff and alumni. Our preference for an off-campus solution is especially important because that is the way to focus all of us on Carolina’s core mission of education, discovery and service for the public good. It’s not clear how the statue could be moved off-campus under state law, which “generally bars” such actions, Inside Higher Ed reports. 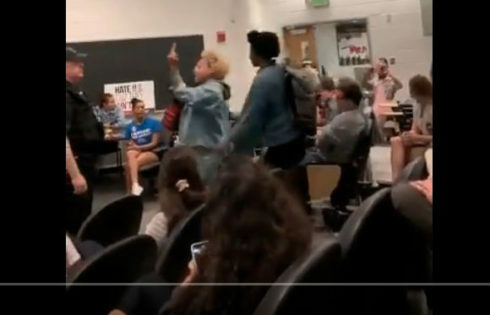 But its return to campus would almost certainly lead to further attempts to tear down or stage disruptive protests against the statue, and dozens of teaching assistants were already holding students’ grades hostage unless the university scrapped the history center plan. Read the News and Inside Higher Ed coverage.